Google Plus is a vibrant social network that allows you to engage with content, people, brands and local businesses. If you use Gmail or any of the numerous Google products, you will definitely see traces of Google+, Google’s social network. However, for any reason if you want to delete Google Plus account permanently, the following simple steps will help you delete Google Plus account permanently. If you want to restrict the visibility of the Google Plus content you generate, deleting Google Plus Account is definitely not the best option as there are numerous privacy settings you can toggle to restrict the posts and comments you make. If you are not comfortable interacting with friends on Google Plus, consider the many other options of using Google Plus like connecting with brands, sharing articles you enjoy reading, following blogs/bloggers, following local businesses, etc. 1. 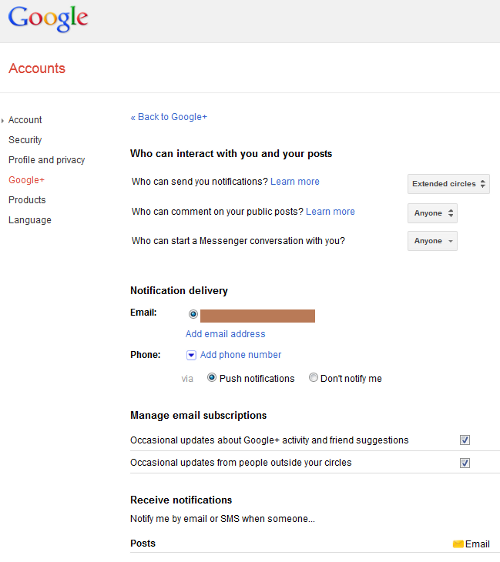 Go directly to the your Google Account Settings here - log into your Google account if you are not already signed in. If you have any questions on how to delete Google Plus account permanently, leave a comment below and we will definitely help you out.